Hair Fairies is proud to announce our 11th store opening in Atlanta! Chelsea, a native of Atlanta is running our Dunwoody location and looks forward to providing you the very best possible care. What sets Hair Fairies apart? Almost two decades of proven success and experience in customized all-natural lice removal, along with our own curated, non-toxic and plant-based products. 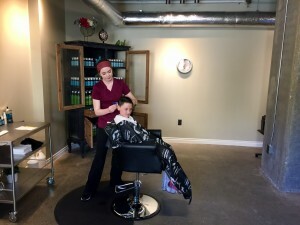 Hair Fairies takes a tailored approach to each and every family. We never cut corners and make sure our clients are educated, feeling back in control and calm. The best part? You leave lice-free – guaranteed! We understand the urgency for help on the spot; whether you want the entire treatment, a face-to-face tutorial, or simply a free over-the-phone consultation, we are ready to help. Our location is centrally located and easy reach from Peachtree Corners, Norcross, Berkley Lake, Sandy Springs, Marietta, Alpharetta, Brookhaven, Johns Creek, Kennesaw, and Vinings. Call 470-588-5423 to set up time to meet your personal Hair Fairies Technician. We are here to solve your problem, nurture, and educate.